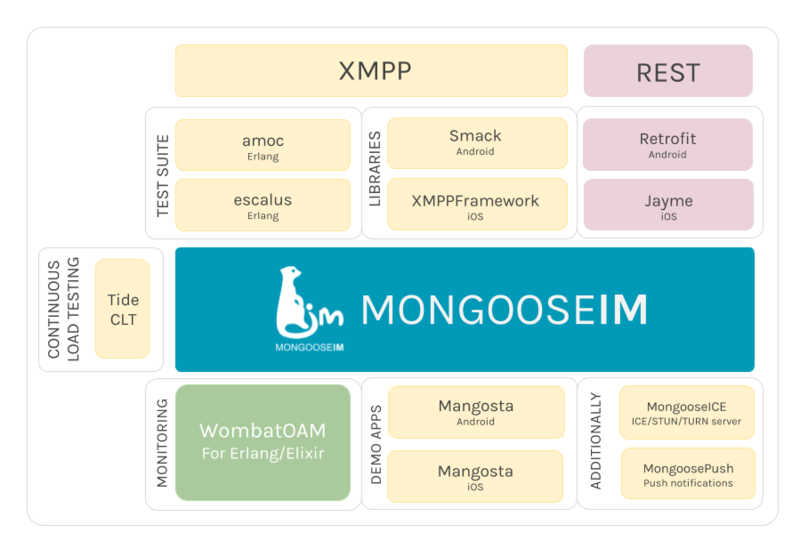 As a platform, MongooseIM includes several server-side (backend) and client-side (frontend) components. We provide a test suite, metrics, a load testing platform, and a monitoring server. We recommend third-party, open source client libraries for XMPP and REST API. MongooseIM is brought to you by Erlang Solutions. When developing new features/modules, please make sure you add basic documentation to the doc/ directory, and add a link to your document in doc/README.md.